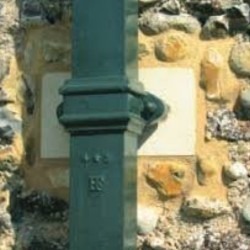 Cast Iron Round Downpipe and Fittings are very decorative as well as resilient to weather damage transit damage, and vandalism, and include a variety of ears, hoppers and shoes. 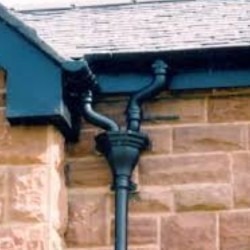 65mm Round Downpipe is predominantly used with 100mm or 115mm Guttering, although it can be fitted to larger sizes. 65mm Round Downpipe has an overall external diameter of exactly 69mm, with an overall width at the eared sockets of 150mm across the ears. 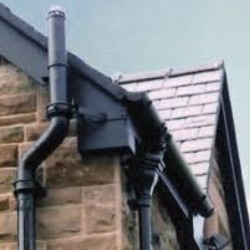 Cast Iron downpipe comes in 1.83m (1829mm) lengths.